The U.S. campaign for regime change in Venezuela could drive up oil prices. The oil markets barely budged last week when the Trump administration first recognized Juan Gauidó as President of Venezuela, and prices hardly moved even after follow-up reporting showed that the U.S.’ effort to topple Nicolas Maduro was a lot more coordinated than it may have seemed at first glance. Oil prices also largely shrugged when American sanctions on PDVSA were announced earlier this week. 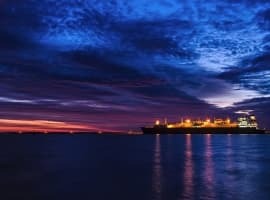 However, by Tuesday, oil traders finally woke up to the fact that the U.S. campaign to topple Maduro by essentially issuing an embargo on Venezuelan oil exports could lead to major disruptions in the market. WTI and Brent both rose sharply. Even as U.S. sanctions simply bar American entities from doing business with PDVSA, the measures could wreak havoc on Venezuelan oil exports. U.S. refiners import around 500,000 bpd of Venezuelan oil. American sanctions also dictate that any revenues from oil sales would be put into an escrow to be managed by the government of Juan Gauidó. Maduro would obviously not want to fund his opposition, so oil exports to the U.S. will essentially cease going forward. Moreover, Venezuela’s heavy crude must be blended with diluent in order for it to be an exportable product. To date, PDVSA has been importing diluent from the U.S. That will no longer be allowed, so it is unclear how Venezuela will manage this disruption. “If Venezuela fails to find a substitute, oil production will have to be scaled back,” Commerzbank wrote in a note. On top of that, Venezuela’s shipments to the U.S. were the only ones that earned the country hard currency. The bulk of its shipments elsewhere – mainly to China and Russia – are sent as repayment for past loans. In other words, PDVSA does not take in cash for its oil shipments to those countries. Presumably, additional shipments to China, Russia or India in lieu of the lost market in the U.S. Gulf Coast could be sold for cash, but Maduro’s government is without leverage, which means the discounts will be painful. There is also a power struggle underway to take control of PDVSA. Maduro still has control, but the jockeying for control of both the operations and the bank accounts may throw up unexpected disruptions. The company is already in serious disrepair. Looking out over the medium-term, some of the analysis around the crisis in Venezuela has been described as bearish for oil prices, since a new government could end the mismanagement of PDVSA and revive oil production in relatively short order. But that is magical thinking. 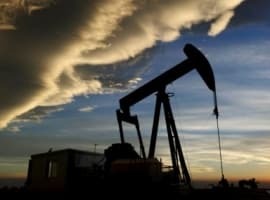 “Even in the event of a peaceful transition of government, we would not expect rapid growth in the output of Venezuelan crude in the near term; it is likely to take years to stabilize output, let alone reverse declines,” Standard Chartered analysts led by Paul Horsnell wrote in a note. For U.S. refiners, the disruption could be significant. As Standard Chartered points out, the importance of Venezuelan oil comes down to the quality and proximity of the heavy crude, rather than the volume. Venezuelan oil has some of “the lowest degree of potential substitutability by other crude oils,” the investment bank wrote. His confidence could be misplaced. The U.S. burned some bridges last year with its “friends in the Middle East,” by demanding that they increase oil production in the wake of sanctions on Iran, only to issue a bunch of waivers, leading to a crash in oil prices. Riyadh probably won’t be as trusting this time around. Indeed, Saudi oil minister Khalid al-Falih said this week that Saudi Arabia would lower its oil production to 10.1 million barrels per day (mb/d) in February and keep it at that level for the duration of the six-month OPEC+ deal. So far, there are no signs that the Saudis have a desire to help out Washington again. The result could be significant upward pressure on oil prices. “The expected decline in Venezuelan oil production and the problems in Libya will make it easier for OPEC – albeit inadvertently – to rebalance the oil market by cutting production,” Commerzbank concluded. Venezuela should be placed under UN Control by Vote. Restoration can only be had thru the Diplomatic Channels. This tightens control over monetary , goods , services and other important products that can be exported with minimum tariff and held in escrow. The totality of the Venezuela Gov. requires careful thought as to long term goals and any resulting relationships with other countries. (WTI) is now ticking upward and should see 56.00 out to 58.00 while Gold should see 1350.00 plus. So far the global oil market and prices have been unmoved by the US sanctions on Venezuela. Whatever oil Venezuela exports to the US estimated at 500,000 barrels a day (b/d) can easily be diverted to China and India. Moreover, China and Russia which both are owed some $30 bn will do their utmost to prevent the Venezuelan economy from collapse. Furthermore, these sanctions will hardly impact on the global oil market and prices unless there is a complete collapse of Venezuela’s oil industry as a result of a general strike by workers of the National Oil Company of Venezuela, PDVSA, or a civil war. These sanctions are doomed to fail like the ones imposed on Iran. Venezuela can easily replace imports of a diluent needed for blending with its extra-heavy oil to make it an exportable product from the United States with imports from China, Russia and Iran as well as domestic production. And in case Venezuela’s oil production collapsed, the Trump administration can’t bank on Saudi Arabia making up for any shortfall. 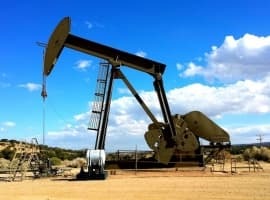 Saudi Arabia made a serious mistake in June last year when it decided under intense pressure from President Trump to jointly add with Russia 650,000 barrels a day (b/d) to an already existing glut in the market causing oil prices to slump by 43% and inflicting losses on its economy and the economies of OPEC members. Saudi Arabia may decide this time to shun any request from President Trump to raise production in anticipation of something that is not going to happen, namely loss of Iranian and Venezuelan oil exports. US sanctions don’t harm Venezuela’s leaders, they only deepen the humanitarian crisis facing the people of Venezuela. By flagrantly interfering in the affairs of a sovereign State and openly seeking a regime change, the Trump administration is showing the ugly face of its discredited “America First Policy”. The US depicts itself as the indispensable superpower. If this is true, then it can do far more to improve the lot of the Venezuelan people and solve the crisis in Venezuela by refraining from interference in Venezuela and by deploying a conciliatory approach towards its government. The US can achieve far more in Venezuela by putting its values back at the centre of its foreign policy than by imposing sanctions and regime change. Only when morality and decency become an integral part of the foreign policy of the indispensable superpower will the US stop its interventionist policy and regime change in foreign countries. The Trump administration should heed the lessons from Iraq, Syria, Yemen and Libya.